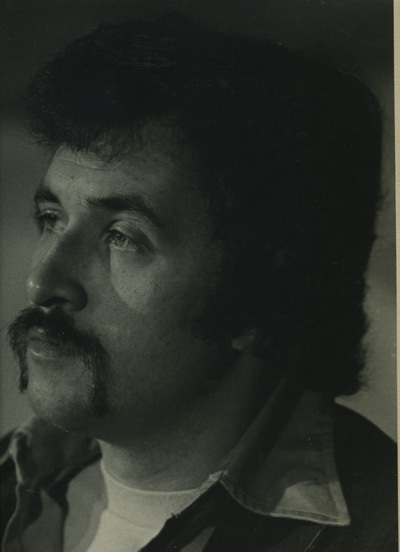 Henry Normile (1946-1979) was a popular bar owner who Ran Cobbs Corner, one of the best small jazz clubs in the Cass Corridor on Cass and Willis in mid-town Detroit. 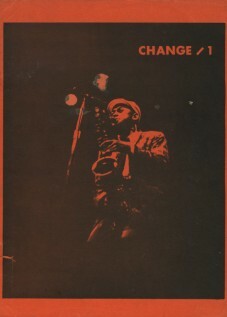 Cobbs Corner was a place where musicians held residencies for extended periods; Griot Galaxy, Lyman Woodard’s Organization, Marcus Belgrave, New Detroit Art Ensemble and many others. Henry did much to revitalize the Cass Corridor. 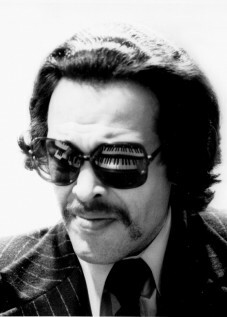 He was cruelly assassinated outside his apartment on a cold January night in 1979, just as a live LP recording was being made at Cobbs Corner by Lyman Woodard. His killer was never caught. The slaying of the owner of Cobb’s Corner Bar may spell the death of “the new jazz corner of the world” in Detroit. To jazz lovers, 34-year-old Henry Normile’s place at the corner of Cass and Willis was a Mecca of sound, a gathering place for followers of avant garde as well as traditional jazz. It also provided a home of sorts for a local alcoholic. Normile’s success story — developing a former motorcycle hangout and inner city bar into a popular jazz club — ended Saturday night when he was shot fatally in the neck. Normile’s friend, Marcie Major, told police she heard shots around 8pm. and found him lying in a hallway that extended between Normile’s apartment and the bar. Miss Major lives in an apartment Next to Normile. HOMICIDE SGT. Cameron Knowles said police have no leads and no motive. Some of Cobb’s regular patrons and musicians questioned whether the bar could keep its reputation for nightly jam sessions without Normile running the bar. “You never knew what will happen to a bar after something like this happens,” said Greg Jakub, who regularly visited Cobb’s and lives near the Wayne State campus. Marcus Belgrave, a musician who regularly appeared at Cobb’s, said there’s a chance the bar could lose some of it regulars if the emphasis on jazz dies. 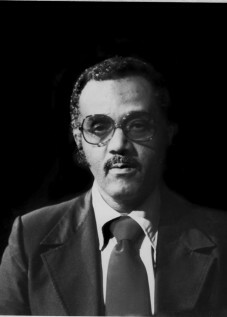 THE NIGHT OF the shooting, the Lyman Woodard Organization – one of Normile’s favorite bands – was to tape a live recording for the first record produced by Corridor Records. The company was formed two weeks ago by Normile, Woodard, Sinclair and Belgrave. Normile grew up in Mt. Clemens and attended the Holy Ghost Brothers seminary for three years before joining the U.S. Air Force in 1964. He received a master’s degree in physiology from Wayne Stated and worked as a bouncer and bartender at campus bars while attending school. 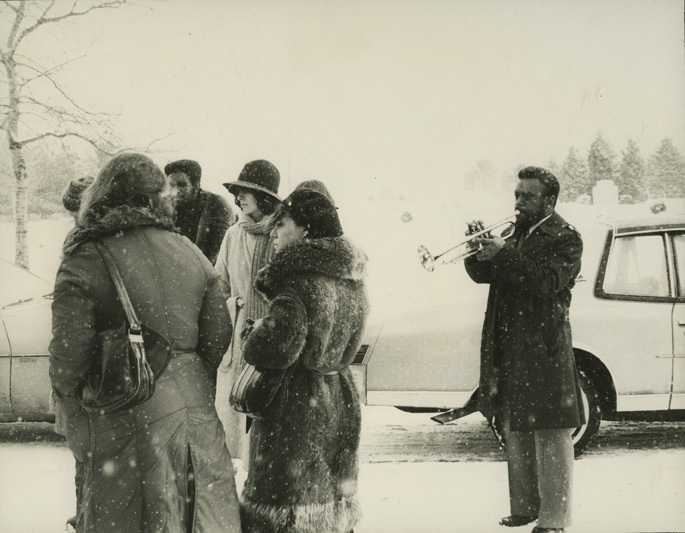 He tried teaching at Wayne County Community College and the Carnegie Institute but his love of jazz won out. Was outgoing and was liked by almost everyone. Had degrees: in both psychology and physiology. Had an almost legendary reputation for attracting women. Carried a gun and said he’d use it if he had to. 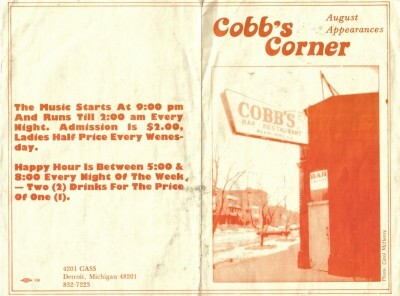 Almost single-handedly revitalized run-down section of the Cass’ Corridor with his innovative jazz club, Cobb’s Corner. Was a small-time drug dealer whose clients were almost solely friends and musicians. Was generous to a fault, often buying paintings and poetry from casual friends in his bar just to keep them afloat. Normile did die young—at the age of 34—on Jan; 27, when someone fired a single shotgun blast into his neck as he stood in the foyer of his apartment next to Cobb’s Corner. Police think it was a vengeance murder of some sort, but have neither a motive nor a major suspect. They say the gunman went to Normile’s apartment that night, Just a half-hour before a live recording session was to have begun in the bar, and pulled off the shooting so calmly that no one saw him come or go. It was Ms. Majors and another friend, George Green, who found Normile face down in a pool of blood in the foyer of his apartment. He had been shot just seconds before, and his dog – a huge black Bouvier des Flandres – was standing over him, barking. By the time an ambulance arrived and took him to the hospital, Normile was dead. Four nights later, his brother and partner in the Cobb’s Corner venture, Howard Normile, reopened the club with a wake for friends and family members. Marcus Belgrave, Lyman Woodard and other Detroit musicians conducted a jam session that went on into the early morning. Said his 27-year-old brother, “It was his way of life. It was a way for him to socialize and meet people.” But Henry Normile, a former seminarian with a bachelor’s degree in psychology and master’s in physiology, also wanted a club that would bring some respectability to Cass Corridor — which he loved — and he thought the best way to do it was to make his bar the center of Detroit’s jazz community. THE FUTURE of Cobb’s as a jazz club is up in the air now. Howard Normile, who is busy working on his doctorate in physiology at Wayne State, says he doesn’t want to run it himself and hopes to sell it to someone who will carry on with its music policy. How much of Cobb’s Clientele came for music and how much came for Henry Normile is an open question. His friends say that when he quit as the night manager of Verne’s Bierstube on Forest Avenue alter five years, that bar’s night business was cut in half. HOWARD NORMILE said that his brother had $36 in his checking account last week and that he’d never known him to have much money. Henry Normile didn’t own a car, although he drove borrowed ones all the time, and he had few possessions at his apartment. The brothers grew up in Mt. Clemens, where their mother, Myrtle Normile, still lives, and Henry Normile left right after high school to join the Air Force. When he returned, he moved into the city and was soon putting his imprint on the social life. Normile and his brother, Howard, bought the bar two years ago from Robert Cobb. Normile became sole owner two months ago when his brother sold out to devote more time to his doctoral work in physiology at Wayne State. 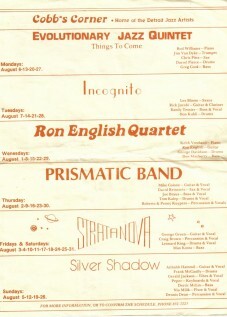 AS THE BAR’S reputation grew, via word of mouth and a public relations firm owned by Sinclair, Normile was convinced it could become the musical meeting place in the Corridor. “Henry was the kind of person who did what many people haven’t done,” said Michael Ogorek, a regular Cobb’s patron. 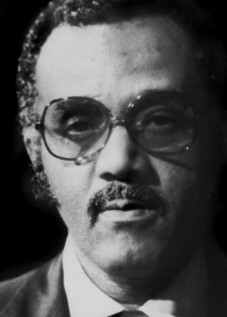 Besides the music, Normile developed a reputation for ‘holding benefits to raise funds for local groups, such as the Detroit Children’s Alternative School, the Michigan Opera Theater and ailing Detroit percussionist Jimmy Allen. “He was an extremely generous person, one, of the sweetest men I’ve ever met in Detroit,” s~id Sinclair, who was working on an idea with Nornlile to start a local artists’ gallery next to Cobb’s. SOME OF THE musicians who regularly worked at the bar are planning a memorial jam session at 9 p.m. tomorrow at Cobb’s. Some of the bands expected to perform are the Lyman Woodard Organization, Marcus Belgrave, The New Detroit Jazz Ensemble. Griot Galaxy and the Prismatic Band. A $5 cover will go to a Henry J. Normile Scholarship Fund. “There’s no question that if we have the service I’ll play Henry’s favorite piece, something I composed called, ‘A Theme in Search of a Sports Spectacular,”’ Woodard said. Normile’s friends and his mother, Myrtle, and his brother, will attend a funeral mass at 9:30 a.m. tomorrow in St. Peters, 80 New, Mt. Clemens. Burial will be in Resurrection Cemetery, Clinton Township.